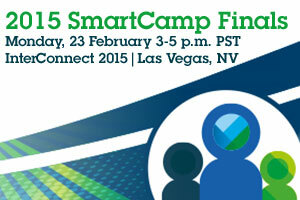 The top startups from the IBM SmartCamp competitions gathered for one final showdown to determine the IBM Global Entrepreneur of the Year at the 2015 SmartCamp Global Finals on 23 Feb 2015 at the IBM InterConnect conference in Las Vegas. Insight Robotics' fire fighting solution won the day! Most cloud credits in the industry! 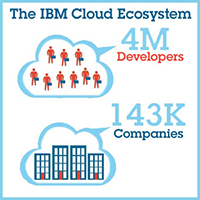 IBM is now offering more cloud credits to qualified startups than anyone else, period. Learn more and apply to receive up to $120K USD in cloud usage credits. IBM Bluemix is an open-standards, cloud-based platform for building, managing, and running apps of all types (web, mobile, big data, and new smart devices). 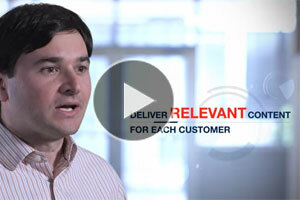 See how entrepreneurs, like you, are using Bluemix to rapidly and easily build solutions.